This is a dish that I made for the first time a few months ago to take to a family at church when they had a baby. I NEVER take food that I haven't tried before but their favorite food was spaghetti and this was the only way I could think of to deliver spaghetti without it being dried out! I was pleased that this dish turned out so well and even figure out a way to make spaghetti sauce in the slow cooker during the process of making it! Cook the ground beef with house seasoning on it in a skillet. While you are browning the ground beef boil the box of spaghetti noodles. Once the noodles are finished add a little olive oil to coat the noodles. 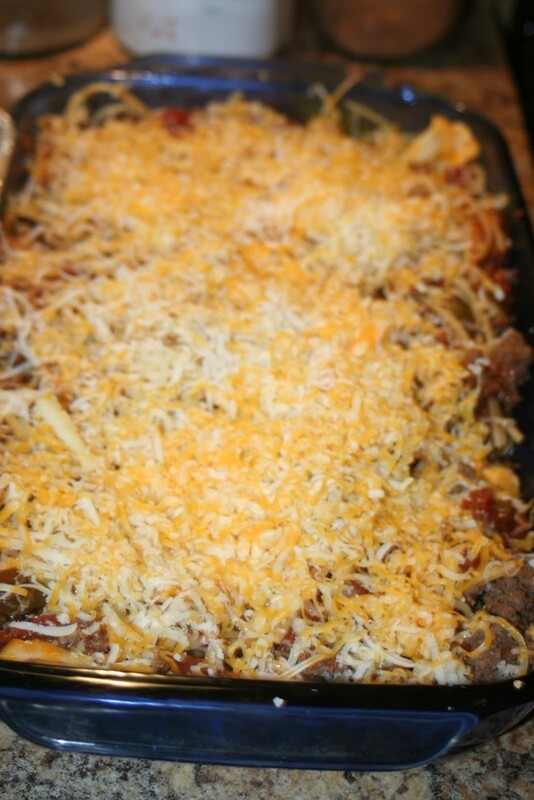 Put some noodle in the bottom of a 9x13 baking pan and pour a generous amount of spaghetti sauce over it. Stir it around so the sauce covers the noodles and there is plenty extra. 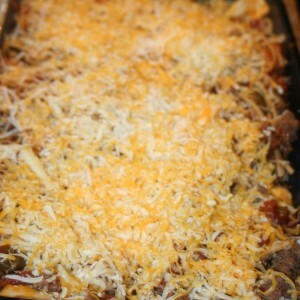 Sprinkle the three cheeses over the top so the top is covered with cheese. Bake at 350 until cheese is melted and everything is warm (this doesn't take very long as long as the sauce is warm/hot when you put it in with the noodles). 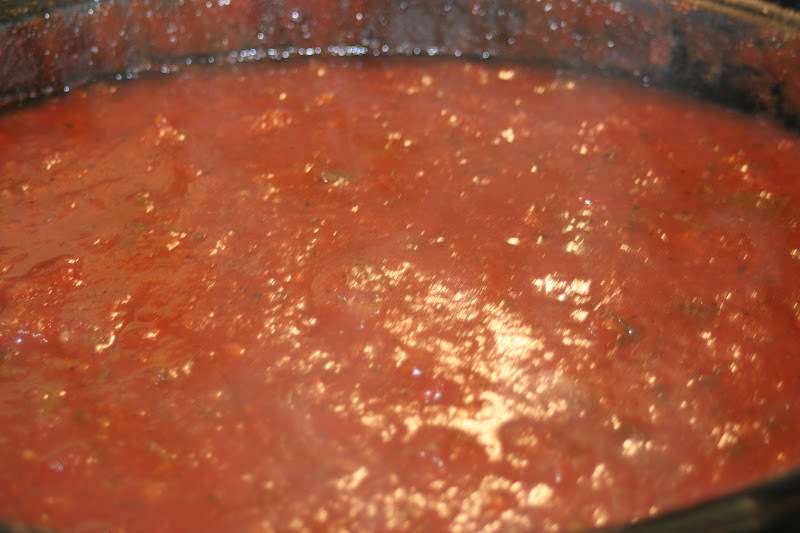 Here is a picture of the slow cooker spaghetti sauce.